Elizabeth Warren seems to have definitively thrown her political hat into the 2020 presidential ring. As of now, she’s out there front and centre. One thing she knew she had to deal with proactively was the issue of her alleged Cherokee nation ancestry. If she ended up in a face-off against him, Donald Trump’s uninhibited taunts of “Pocohontas” would be a real electoral ball and chain. 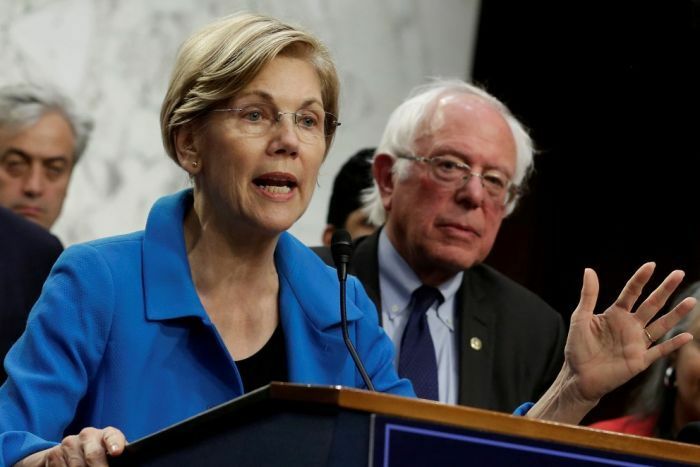 Warren took a calculated risk in deciding to double down on her claim, which was archived in the faculty directory of the Association of American Law Schools, where she self-described as a “Minority Law Teacher,” for which she has been ridiculed ever since. Which puts Warren in an invidious and lonely position – between the rock of right-wing mockery and the hard place of native kinship denial. Of course, all of this begs the question of why Warren is so keen to align herself in so intimate a way with the Cherokee nation in the first place. We may be forgiven if we assume her motivation is politically inspired. As a progressive bent on power, Warren has to be constantly aware of her “white privilege.” Any softening in that status she could legitimately lay claim to would be a form of social and political capital. As the first casualties of settler imperialism, colonized Indigenous peoples occupy pride of American victimology. Even a molecule of Cherokee blood would understandably be cherished by any progressive politician for whom a day without America-bashing is a day without sunshine. There are all kinds of minorities in America, but for progressives, some are more equal than others in terms of their social-justice cachet. One can imagine, for example, the discomfort Warren might experience if she discovered – as the former Secretary of State and the nominally Episcopalian, Madeleine Albright did in adulthood – that she was of Jewish stock, and had relatives living in Israel. When Albright was in office, personal linkage to Judaism and Israel was not a problem for Democrats. Things have changed in that respect as the party’s far left-wing has found its voice and with it more political clout. Apart from the question of which identity group provides a greater opportunity for exploitation than another, Warren is furthering the rotten idea that one’s identity is determined by one’s bloodlines, and that even a blood connection as tenuous as hers to the Cherokee nation gives her added value in negotiating a political relationship with her fellow citizens. That is not the idea that made America great in the first place. America was the place you came to in order to escape a fate in which you were defined by your biology: your clan, your tribe, your caste and your race. Freeing people from those bloodline shackles is the whole point of their democracy.